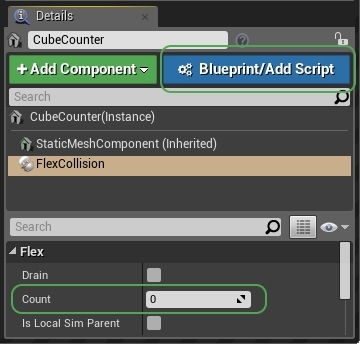 Flex particles that come in contact with static mesh colliders can be deleted (drained) or counted. This only works for flex particles spawned by a Cascade emitter. 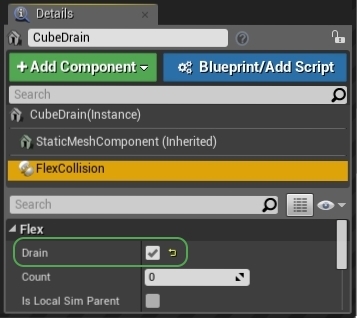 In order to support “draining” or “counting” the static mesh component needs to be configured with a simplified collision geometry and setup for either overlapping or blocking Flex particles. 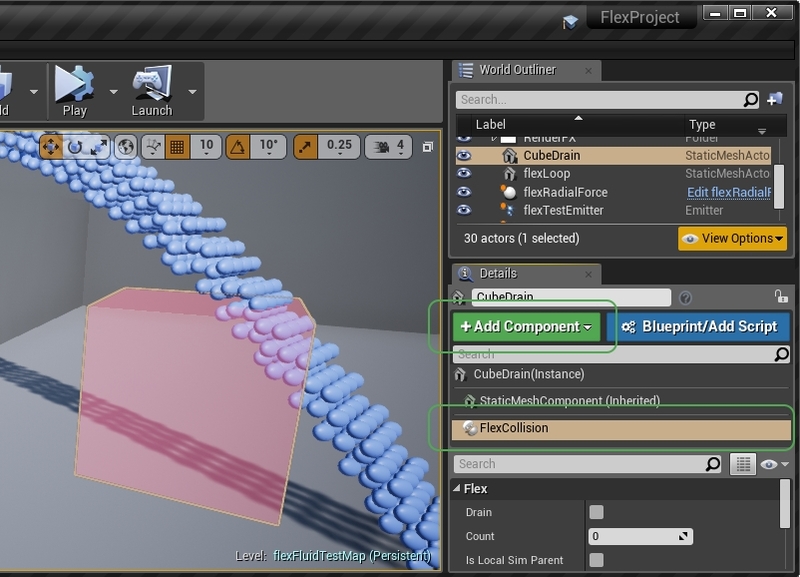 Draining and counting can be enabled on a per Actor Class level by using a Flex Collision Component. Particles that come in contact with the corresponding actor are deleted automatically. The count value of the Flex Collision Component contains the accumulated number of all particle overlap events happening. In order to get a per frame count, an actor Blueprint can be used. In order to get the per frame value, the count should be reset to zero after reading it.